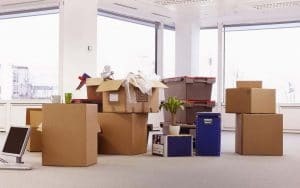 Let us help you in relocating by our commercial moving services. Many people on daily basis move in to new job places. It is not possible to buy new furniture for office every time. So the only way is to move your stuff at new place. Our professional workers are always ready to help you in moving. Our company main goal is to provide you an efficient and hassle free moving service without giving our clients any chance to complain. Professional work is a key to success in every business. Our workers are very well aware of this. They are well-trained and expert in their duties. They always keep in mind that the clients are their first priority. We first train our workers then send them at your doorsteps to serve you. They are well equipped and also very friendly with the client. So the client will not hesitate to tell us about their demand. They work exactly the way the client ask them. Our first priority is to make our client happy with the work. Our workers always keep in mind the fact that all the belongings of yours are very important and precious for you. They work so professionally and efficiently that you don’t even feel the presence of them. Our workers are professional and can deal with any situation. Moving out from one business and settling in a new one is not an easy job. It is a very stressful thing to do. There are many little things in the office which are very important. You cannot trust everyone with this. But our commercial moving services are here to help you. Our company is the most trustworthy company and will serve you from start to end. The main task is to pack everything and don’t left anything behind while moving. When you call our company for relocating your workplace our workers firstly visits your office or shop to do an inspection. Then they talk with the client to get to know how they want them to work. Then are workers bring all their tools and packing material. They pack everything with great care. There are many little things in office moving which needs to pack and mark properly. No customer would be happy if their important files get lost in the process. Our worker starts their work in order so nothing will leave behind. They mark every box and write everything on paper to keep the record. We use modern and fine packing materials. Bubble wraps, boxes of different sizes, tape, gloves, cutters and towels too. While packing TV or any other stuff which have a possibility to break our workers firstly wrap them in bubble wraps and towel then carefully place them in boxes in which they fit properly. While moving everything in van our workers check twice that nothing left behind. They place everything in a van very carefully and make sure everything will fit in properly so nothing will get a break while moving. Our workers stay with your stuff 24/7. Our van service is also one of the best come with the most experienced drivers. We have vehicles of all sizes and all are in best condition. You don’t need to hire any van for moving separately. The charges are included in the overall package. Setting up your new place is equally stressful like the packing time was. Not only packing our workers also gives you the service which includes reassembling everything and setting up your new set up. Our workers listen to client demand very carefully and provide the same exact thing which is in your mind. Unpacking is also a very critical time. Our workers open every package very carefully with proper tools so nothing will get a break and then set it up properly. Moving out can be really stressful and timing taking. So why not hire us to serve you. We provide best commercial moving services. You don’t need to take any stress our workers will help you in every aspect. Our clients are our main asset. It is our duty to satisfy them. While we are working, you also don’t need to keep an eye on us. We will do everything according to your demand. Having our professional services also safe a lot of time of yours. Which you can spend on other things or also spend with your family. We supply crates, boxing and all other packing material at your home. Pack all kind of stuff professionally. Assemble and reassemble furniture professionally and carefully. Provide service at as low price as we can. No hidden charges include in our service. Extras seats are present in our van so if the customer wants to travel with us, they can with ease. We also provide fully insured service. Our service is not limited domestically. We provide international moving services too. We are here to serve our customer in every possible way. We provide services with reasonable charges and do everything in between the budget. You don’t need to pay any extra charges. You can visit our website to see our price list. If not contact us via number or email. Send us an email with your name and address. Ask any question you have in your mind, our service is open 24/7.